Product prices and availability are accurate as of 2019-04-22 07:48:12 UTC and are subject to change. Any price and availability information displayed on http://www.amazon.com/ at the time of purchase will apply to the purchase of this product. 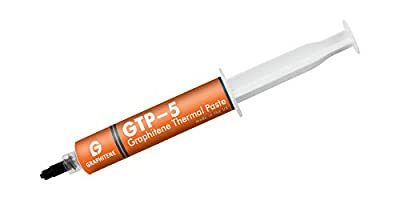 As it comes from the syringe, GTP 5's consistency is engineered for easy application. During the CPU's initial use, the compound thins out to enhance the filling of the microscopic valleys and ensure the best physical contact between the heatsink and the CPU core. Then the compound thickens slightly over the next 50 to 100 to its cured state.